Fishing is fun in every way possible. Whether you fish with big spinning reels on the beach or with an ultralight gear at the lake nearby, you will have a great time. If you compare, then most of the people happily agreed to the fact that some of the best fishing experiences they have had are fishing with an ultralight spinning reel. And the reason being is that even a 1 pound bass may feel like an extra burden to carry and definitely gets the heart racing while fishing. Know this; when it comes to ultralight fishing, choosing a lightweight spinning reel is vital along with a lighter rod, line, and lure. And the reasons are several, including keeping gear to a minimum for long-distance expeditions, reducing fatigue, increasing the thrill of fishing smaller species and adding to the challenge of catching master-larger fish. Plus, these lightweight fishing reels are an excellent choice for all those casual anglers & kids who are beginners, just learning about fishing and looking for a fun weekend out with family. But first of all what is an Ultralight Spinning Reel? The term ultralight refers to the lightest weight kind of reel available in the market. Formally speaking, these lightweight reels have a gentler and more refined touch- best for targeting smaller game fish like trout, panfish, crappie, and smallmouth bass. When paired with a lightweight pole and lightweight lures, a lightweight reel can give you a real advantage since it provides a stealthier cast and presentation which often generally gives you fewer spooked fish and more overall bites. When you are going for an ultralight spinning reel, most of the time you will find the 4-pound test line in the market. But don’t judge wrong because of its size, that smaller 4-pound line can cast even the lightest of lures long distances but remain enough strong not to snap from the strike of a trout or bass. Spinning reels are the best when you are handling lightweight fishing line and are perfect for casting lighter weight lures as well. It goes without saying that weight is a crucial feature when it comes to ultralight reels, but it is more essential than many anglers would understand. It will not balance with the rod properly. In one sentence, the wrong weight reel will keep you from fishing efficiently. Advances in technology have made pressure on reel manufacturers to produce portable-lighter reels. The use of graphite and carbon composites has made the full-sized reels weighing far lighter than anglers have ever expected which has certainly upped the game when it comes to ultra-light units. Always look for an ultralight reel weighing less than 10 ounces, any more than that and you are pushing the lower limits for modern traditional spinning reels. Tossing small lures would not put much strain to your reel, but catching all those fat fish will. In fact, since you are using lighter tackle and lower poundage line, your reel is more likely to take higher pressure than you realize. That is why it must be designed and constructed with the strongest raw material possible with the best elements viable. Always look for the solid lightweight body that is constructed by graphite, aluminum, or carbon composite. The gears, bail, shaft, and handle must be just as long lasting, durable and made of similar materials. The spool will likely be made of aluminum, especially if it is braided line compatible. Everything should be fitted tightly especially all those places the very thin line may rub; otherwise, you are possibly making unnecessary snags. Drag is always essential when considering a spinning reel but when choosing for an ultralight reel, it is vital. The right-drag will help you to play and land astonishingly large fish on a light line. The wrong drag or such would perform poorly that will break off even the smallest fish in the pond. The drag should be smooth. If it does not engage faster, without hesitation, the bigger fish will run. Every foot of line lost increases the chances of not landing that fish. If the drag skips or hangs up during the retrieval, it is more likely that the line will break. The drag system must contain high-quality materials and should be either greased or oiled to prevent damage for the high temperatures caused by friction. The drag must be easy to adjust and engage. A front drag system is preferred as it is easier to reach while still maintaining control over the rod. Drag weight is not as critical as the overall performance of the drag, but most experts agree that the highest drag for the ultralight reel should be at least 7 pounds. Although it is quite unlikely that you will ever use reel’s maximum, especially when using 4 or 6-pound test line, but the extra drag capability allows extra protection against damage. In this article, we’ll take you on the ride to know 10 best ultra-light spinning reels for all your light saltwater and freshwater needs without straining your pocket. These are all lightweight, weighing 10 ounces or less. Plus, other factors such as, fast gear ratios and super-smooth drag systems that help to protect lighter lines from breaking, are also illustrated here for each product mentioned. The Okuma Helios Series Spinning Reel definitely falls as one of the best ultralight fishing reels category, but it is also a little higher in the price category too. That being said, those anglers who have invested in one of this would find it difficult to switch back to any other model. This is a great little spinning reel, overall. The Helios has a lightweight carbon compound frame with a double anodized aluminum bail, spool, and handle for the longest durability. It can simply be named as “Buy it for Life” as it has the pinnacle of superior design, durable materials, and superior quality construction. It features a carbon fiber body, rotor, and side plate that give it precision, strength, and rigidity. The Okuma Helios Series Spinning Reel is best for smallmouth bass, steelhead trout, small catfish, tarpon and flounder. It is recommended more for freshwater fishing, but can also be used for inshore saltwater conditions. The best part of this reel is its 6.2 oz weight which makes it truly a lightweight-all-day reel. That lightweight combined with its easy cast makes you feel like you could fish all night and all day without getting fatigued or discomfort. If you’re looking for a spinning reel that feels like a step up without breaking your bank then look no further than the Okuma Helios lightweight spinning reel. If it comes to providing you anglers with the best fishing reels then Pflueger Supreme XT Reel fishing reel is right there for you. The Pflueger Supreme XT is a very good option for you that includes a magnesium rotor and body. Magnesium is a material that is used to be reserved only for expensive, high-end reels, which is very unusual for spinning reels particularly. In fact, there’s never been a magnesium spinning reel in the market at this price. Pflueger Supreme XT Reel comes in five different variations: SP25X, SP30X, SP35X, and SP40X. These types of fishing rods are the most common for catching small or medium species, such as crappie, bass, and redfish. Spinning fishing reels hold a spool under the rod, while the line is drawn out by the weight of the tackle, lure, or bait. The Supreme is considered to be the lightest reel among its kind and is well-known for its longest durability. Besides the magnesium body and rotor mentioned above, it attributes an aluminum spool and a sealed carbon fiber drag which make this fishing reel amazingly suitable for both fresh and saltwater. Another high point of the Supreme XT is its impressive comfortability, reducing tiredness and making this one of the most user-friendly fishing reels out there in the market. Thanks to its corrosion resistant materials, the Pflueger Supreme Spinning Reel is officially recognized for saltwater, making this one of the most flexible spinning reels. It can be adjusted according to your needs to handle almost any fishing situation. Ultralight spinning reels make it comfortable and easy to use. Premium quality, the magnesium body, and rotor provide the highest strength. Sealed drag system keeps it lubricated and smooth. Little pricey compared to its other Pflueger fishing reels. And the 3rd reel on our reviews of fishing reels is Okuma Ceymar spinning reel! Like most of the other models we examined, this one comes in several sizes. The C-10 size is ideal for 2 – 6 lbs. test fishing lines, which will be great for fishing trout, bluegill, sunfish, and other small fishes. The C-30 and C-40 will be suitable for 6 – 8 lbs. and 10 – 12 lbs. lines respectively. Supporting 15 lbs. mono and 20 – 30 lbs. braid lines, the C-55 will be perfect for inshore saltwater fishing. Lastly, the C-56 with the oversized grip is a great choice if you are after big fish. All of the Okuma Ceymar reels feature 7+1 bearing systems with 7 ball bearings plus 1 anti-reverse ball bearing. The drag goes from 6 to 24 pounds, starting from the smallest version. As for the gear ratio, it is 5.0:1 for models between 10 and 40, 4.5:1 for the C-55, and 4.8:1 for C-65. In terms of materials, Okuma Ceymar features corrosion-resistant blade, machined aluminum spool, as well as a precise machine-cut brass pinion gear. Though keep in mind that this reel isn’t 100% rigid: in particular, it has a little bit of flex in its neck, which could compromise its integrity. Slow gear ratio for more powerful pulling. A good number of size options. Oversized handle for the C-65. The reel’s body isn’t completely rigid. Taking Daiwa’s Light and Tough concept to heart, the Daiwa Revros LT Spinning Reel enables anglers to access Daiwa’s unbeatable quality at an amazing price. Engineered lightweight, yet incredibly rugged composite housing, the Daiwa Revros LT Spinning Reel attributes an advanced ball bearing system, augmented by a cutting-edge Air Rotor that promotes improved rotation and reduces overall weight. Lighter than its previous generations, the Daiwa Revros LT Spinning Reel has been redesigned from the ground up with advanced components, like a machined aluminum handle to reduce weight possible. Increasing finesse performance, while simultaneously boosting strength, the Daiwa Revros LT Spinning Reel incorporates the Light and Tough concept, while delivering outstanding value for money. This Daiwa Revros Spinning Reel is packed with eight bearings for consistently fluid casts and retrieves; featuring a sturdy frame to keep all moving parts in ideal alignment. Daiwa’s Air Rotor design is made from stronger, lighter Zaion carbon composite and weighs up to 15% less than ordinary rotor designs. Its unique shape reduces excessive weight while distributing stress more evenly throughout the rotor for the highest strength. Smooth, advanced and powerful, it’s hard to go wrong with the Daiwa Revros Spinning Reel, especially for all those tight-budgeters. No large model sizes available (largest is 4000, the largest monoline rating is 14#). When looking for the best lightweight spinning reel, you just need to balance low weight with durability, and the Piscifun Honor Spinning Reel does this perfectly. Made of carbon fiber, this reel won’t give you any headaches with corrosion, and it is much lighter than its competition, at 9.1 ounces. One of the most interesting features of this spinning reel is that it can provide up to 26 pounds of drag power, which is really impressive for a reel that is so light. This model is also equipped with 10+1 bearings for improved smoothness while you are using it. When it comes to reliability, the carbon fiber frame isn’t the only part that withstands corrosion. For instance, the drag system attributes a rubber ring to keep it secured against corrosive water. Even the handle on these models is also impressive, with a soft, flat, rubber design that is perfect for use with freshwater fish that aren’t too heavy. Larger versions of this reel feature a bigger knob to make it easier capturing of heavier fish. There are a total of 4 models (sizes 2000-5000) of Piscifun Honor Spinning Reel that cover a monoline weight rating from 5 lbs. to 20 lbs. So there is something for everyone! Rare occasions where the bail sticks. The first impression is everything and holding a Shimano Shimano stradic ci4 spinning reel will definitely leave you wanting more. Shimano’s proprietary Ci4+ graphite provides this reel 20% lighter feel than the similar class of Stradic FKs. Its radical lightweight frame goes well with a medium rod and is ideal for catching inshore fish like bass and trout. At that 2500 size, you’ll find it perfectly sufficient for inland and bay saltwater fishing too. On a performance level, this reel is simply steady. It has tremendous cranking power and can put up a fight under any conditions. Although it doesn’t have an anti-reverse clutch, it does sport boundless anti-reverse. The drag system never wavers and has a huge backbone when standing up to river monsters of any kinds. All in all, you will find that the Shimano Stradic Ci4+ FB will exceed your expectations and live up to reality. It is a dream to use in every aspect. So, if you are looking for an ultra-light spinning reel that is appealing, all-powerful, and will leave you smiling ear to ear after every use, then the Shimano Stradic Ci4+ FB is the reel for you. While it isn’t cheap, but you definitely get what you pay for. It is light as a feather, strong like an ox, and has a silky smooth operation that, without a doubt, will become the best ultra-light reel in your arsenal. 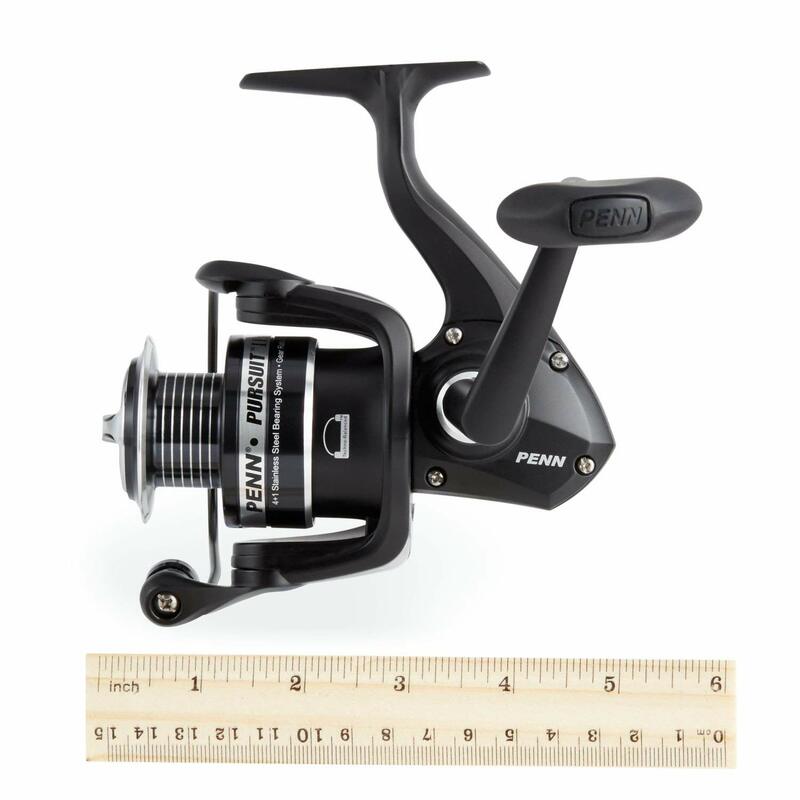 If you searching for an amazing spinning reel where price is not an issue, then search no more and consider buying the amazing PENN Pursuit II Combo, which is capable of carrying a 25 mono without an issue. This is a rock solid combo with a superior feel and which comes with a rod and reel that are perfectly matched. The reel has a very smooth drag, is sturdy, and can be relied on to help competitive anglers. With this combo, broken rods and frozen reels will be a matter of the past if it is cleaned and serviced properly. PENN Pursuit II Combo is well-balanced and durable that can be relied on to catch countless roosterfish, snooks, and black drum. It is fun fishing with this spinning reel. 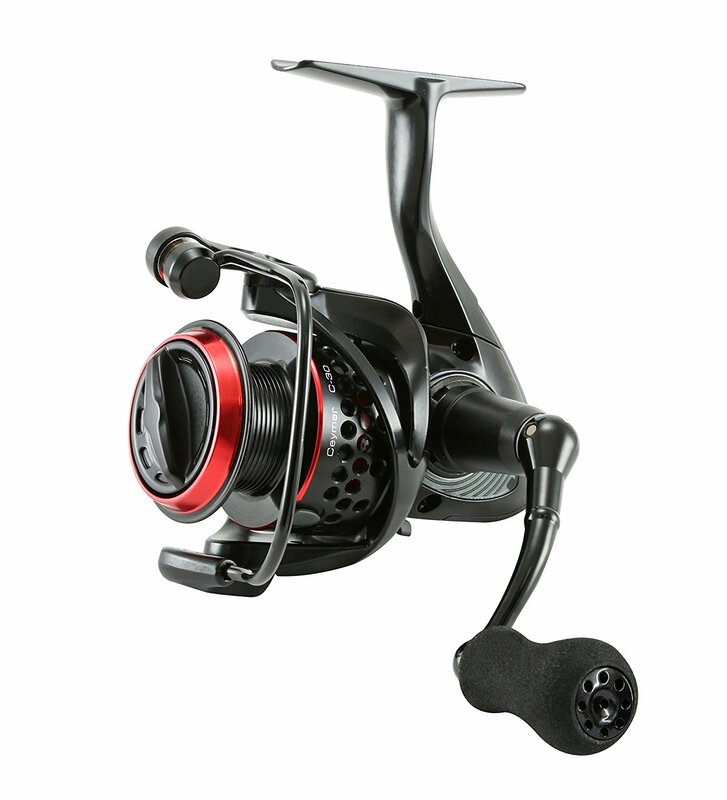 The reel has a great drag system, made using superior-quality components, and comes with an anti-reverse bearing and 4 shielded stainless steel bearings. It also attributes aluminum oxide guides and machine anodized aluminum spool. The 7 feet long rod has graphite constructed blank that ensures maximum sensitivity and can handle a line of 15-20 lbs. Also, it attributes graphite reel seats and Techno-balanced rotor, credited for the smooth retrieve associated with this combo. Before making your final decision to purchase the best lightweight spinning reel for crappie, you must spend some time looking about the specs of Abu Garcia Revo Premier reel. You don’t have to consider all the reel variations before selecting an ultra-light spinning reel for panfish or crappie, because the most important factors to consider are the line capacity and drag. With that being said, the Abu Garcia Revo Premier is an amazing reel that is perfect for finding and catching crappies from the deepest spot of the water body. As the reel comes with a line capacity of 150 yards of 6 lbs. (higher on later models) braid, this gives enough space for the fish to run and fatigue itself. The reels Carbon Matrix drag system gives up to 10 lbs. (higher on later models) stopping power is more than sufficient to stop most crappie and panfish. Plus, the reel attributes 11+1 corrosion resistant stainless steel bearing along with a 6.2:1 gear ratio, which ensures quicker and smoother line retrieval. The reels Computer Optimized Machined Gears makes sure incredible gear mash providing unparalleled durability and smoothness. The Abu Garcia Revo SX Spinning Reel Premier comes with numerous performance boosters but weighs only about 6.4 ounces, making it unbelievably lightweight. With the Abu Garcia Revo SX Spinning Reel in your hand and some crappie fishing tips in your mind, you are sure to catch some trophy fish in your future fishing trips. Slight discoloration on the handle after a number of uses, which might look unsightly to some. The reel is slightly on the pricier side. Some say it’s less expensive to buy fish from a retail store than actually catch it by yourself. But first off, where’s the fun in that? And secondly, if it comes to Okuma Avenger Lightweight Spinning Reel then there’s no second guessing. Effortlessly smooth and highly capable, Avengers have put more fish on the boat than any other spinning reel in the market. With a variety of sizes from 15 all the way to an 80, there’s no surprise why Avengers are serious spinning reels that everyone can afford to own and enjoy. And why wouldn’t that be! The Okuma Avenger Lightweight Spinning Reels achieve a perfectly balanced blend of performance and value. Accommodated in a corrosion-resistant graphite frame, the Okuma Avenger Spinning Reels are powered by a Precision Elliptical Gearing System, which regulates the speed of every spindle stroke, so the line lies uniformly across the spool. This advanced system decreases friction while casting, resulting in improved accuracy and distance. The Cyclonic Flow Rotor (CFR) produces a “cyclonic” airflow, which significantly increases the air flow through the rotor, resulting in faster drying time if the reel becomes wet, reducing corrosion throughout the reel. The Okuma Avenger New Generation Spinning Reels attribute a 6-ball bearing system and precision cut pinion gears that promise you effortless handling trip after trip. Offering serious muscle, the Okuma Avenger Lightweight Spinning Reels are engineered with a multi-disc Japanese oiled felt drag system that ensures smooth, continuous line release. Completed with a firm grip for enhanced comfort, the Okuma Spinning Reel puts the best performance in the hands of anglers, without breaking banks. Patented one-handed Off/On bait feeder system. Computer healthy blades equalizing system. So saving the best one in the last! Many think that Daiwa went out on a limb naming a line of spinning reels STEEZ, which is an abbreviation for “Style with Ease”. Others would name it as truth in advertising. This small reel is more than just a lightweight piece of equipment; it is an actual piece of art. The STEEZ uses a machined ZAION rotor and body, a Daiwa proprietary carbon composite material, lighter and stronger than any other expensive models. The weight is reduced way further through the inclusion of a hollow aluminum bail and titanium spool. Strength down to the core is conserved by use of Dura-aluminum machined the main shaft. High-tech engineering has also enabled the addition of the highly accurate Digigear II drive system and silent oscillation. This combination produces an amazingly smooth, wobble-free action whether hauling in the biggest trout or casting the lightest lures. Added with an unheard 13 ball bearing count, a maximum drag of 15 lbs. and a 33-inch line retrieval rate, owning this would mean you have one of the most advanced fishing systems available in the market. Use the Daiwa STEEZEX3012H Test Ultra Lightweight Zaion Spinning Fishing Reel, and you will reach farther, cast better, and feel more – in easier words, you will have caught more fish than your friends. The appearance is sleek, and it is perfect for both freshwater and saltwater. Budget: This is a major factor which cannot be overlooked. Since there are various manufacturers and retailers, the price would vary. Some spinning reel could be pricey while others could be cheap. Either way, it is best for you to consider your budget first before planning which one fits well. This is because going beyond your budget is not advisable, as there are so many lucrative offers and deals going around. You need to be careful, never let go of quality for quantity. For you to get a good quality ultralight reel, you may need to spend more. Never doubt, it will worth it. An ideal balance in reel size: If the spinning reel is too light and you’ll lack drag power, line capacity, and casting distance. So, it is recommended getting a reel that is about 10 ounces or less and is capable to hold a minimum of 110 yards. Longest durability without added weight: Typically strengthening the reel itself means adding more dense metals to the frame or components which means incorporating more weight. Finding the happy medium here is finding an advanced material like graphite, cold forged metals, aluminum, and carbon fiber that will give you the best blend of strength while still keeping the reel within 10-ounce threshold. Cutting edge performance: Ultralight reels can have an exceptional feature that makes all the difference on the water surface. For example, having an amazing drag system that is reliable and strong will pay off in spades as a 12-pound bass strike your line. Or a reel that provides compatible casting that doesn’t get wounded up or limit your range on the water. Drag System: For you to be able to work perfectly with the line, the drag must be properly calibrated. Even though recently, manufacturers engineer their products with amazing drag system, but still, you need to check for the right one. The drag system is solely responsible for applying the exact pressure to catch a fish and let out the line. Gear ratio: This solely depends on the individual fishing style. It could be that you prefer for a high-speed reel or for a slow speed reel. Here you need to know that 4:1 is considered as a low gear ratio that provides ideal low speed while 5:1 and above gives you an optimum speed. With the higher gear ratio, you could pull in fish a lot faster. The size of spool: It is important to check the spool size too in order to understand the total line capacity; and when you have the larger spool size, line capacity increases. It is recommended to have an emergency backup with the reel kit in the form of an extra spool. Frame construction: The assembly and construction components must be strong and sturdy for long-term usage. Bearings: It is better and effective to have ball bearings that are made of stainless steel, as they are what make the handle and spool clasped together smoothly. Make sure the spinning reel has at least 4 to 5 bearings for proper movement and accuracy of shifting. Anti-Reverse: Anti- Reverse is also something you cannot miss. If you go for a reel with an anti-reverse, it will help you reel fight against unintentional unwinding. Additionally, it is advised that you read reviews of past and present users and go through their experiences. This could go a long way in helping you to make a good selection of reel. Plus with this, you would be able to know the drawbacks of the spinning reel you plan to purchase. Never forget, information is power. Be knowledgeable about your product, and you would be able to avoid making mistakes with your reel buy. Light Lures and Light Line: The main advantages of ultralight spinning reels are their ability to handle light line easily and to cast lightweight lures. The reason for this is due to the open and fixed spool, which on the cast enables line to flow off in coils and is then funneled to the rod through the guide system. This is what makes them so easy to cast, which create backlashes or tangles. Versatility: Ultralight spinning reels are more commonly used in live bait or finesse presentations, making them very famous among bass, panfish, and walleye anglers. Small jigs, spinners, and small crankbaits are also perfectly suited to use on a spinning combo. 6 to 10-pound test line is enough for most freshwater spinning reels. Perfect for all Experience Levels: These ultralight spinning reels are great for teaching beginners to cast and fish. The operation is as quick and easy as opening the bail, finger on the line, and let the lure float. As the angler gains experience he/she can easily upgrade and go for more refined models with better features. Easily transportable: It is perfect when it comes to flexibility and portability as its light weight makes it easily transportable. Why should I buy a spinning reel? Using a spinning reel is usually thought to be much easier to learn than bait cast and has greater control features than a spin cast model. You can develop great fishing techniques with the spinning reel in terms of accuracy and distance. The spool does not move in the course of casting, so you are able to use lighter lures than with bait cast reels. Most spinning reels would give you a left or right hand retrieve option. How do I choose which reel is best for a specific rod? It’s crucial to match the correct size reel to your rod because it makes sure the line breaking strength and capacity to match the action of the rod. It also provides that the reel and rod are well balanced. This is not a ridged recommendation as there are other situations where using a reel one size smaller may also provide an exceptional experience. Braided lines are generally thinner which increases the capacity of the reel. How frequently should I change my line? 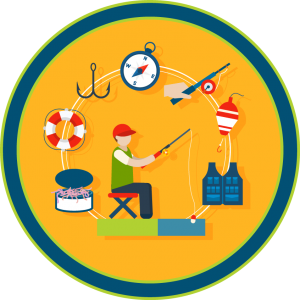 Make sure to regularly inspect your line, but proper attention should be paid to the last 2 feet before the lure. If it is rough and uneven, cut and re-tie. If large sections become abraded, it may warn you changing your line; otherwise, you should be replacing line at least once a year. The spinning reel is important and effective fishing equipment, which is majorly used for casting lines for catching smaller fishes. The assembly methods and strong construction make the equipment so great to use. The lightweight of the spinning reel makes it portable and is most commonly used reels by most of the fishermen. However, it is difficult to find the best ultralight spinning reel in the market unless you are knowledgeable about the field. This guide that lists ten ultralight spinning reels with reviews and pros and cons will help you make the right decision. For better accuracy, easy small lure and maximum catch, the lightweight spinning reels make the best choice to go for.